One of the most critical aspects of job search is having strong, branded documents to support your overall search and career efforts. Career and personal branding expert Debra Wheatman will review all of the important parts of your résumé, including presenting "you" in the most effective and engaging manner on Wednesday, February 10, from 9:30 am to noon at the Parsippany-Troy Hills Library. In addition, Debra will discuss the relevance and importance a consistent and streamlined brand, what that it looks like, and how to make sure it is a key component in your résumé, other documents and during your interactions. Debra is president and owner of Careers Done Write. 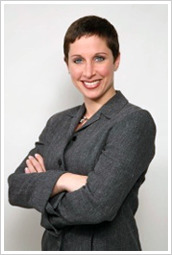 She is globally recognized as an expert in advanced career search techniques, with more than 18 years of corporate human resource experience helping clients make gratifying career choices. She has been featured on Fox Business News and WNYW with Brian Lehrer, and has been quoted in leading publications, including Forbes.com, The Washington Post, The New York Times, The Wall Street Journal and CNBC. Her industry expertise, experience and inside knowledge includes financial services, banking, insurance, technology, management consulting, legal, biotechnology, sales and marketing and academic fields. More information about Debra Wheatman is available on her blog at careersdonewrite.com. She also has a new e-book, Developing Soft Skills, available in a variety of formats free at Smashwords.